I could not find a good 'checklist' for all the Mega Bloks and Mega Construx sets that have been released so far, so I thought I'd give it a go. Since some of the sets are getting harder to find this list will hopefully be useful. If I missed anything let me know and I'll update the list. Last edited by SS Kakarot; 02-18-2019 at 04:49 PM. Has anyone actually found these two? I have yet to see them in the wild or any concrete reports of them from other fans. And when I called Mega Bloks a while ago, they said that these two won't be released until 2017. I think I have them. Will check once home. 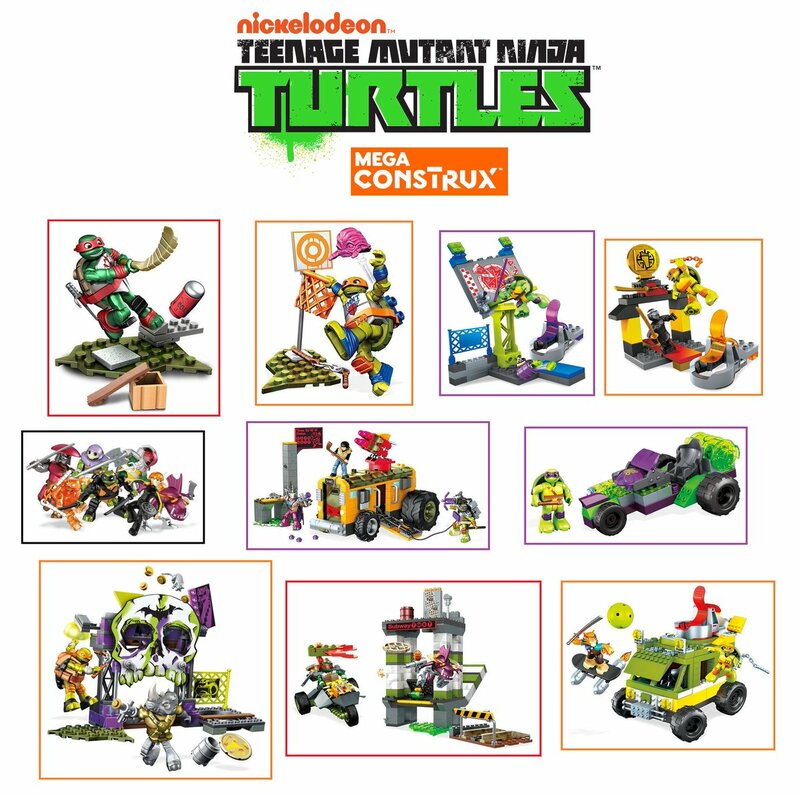 Just found the Construx booster sets, looks like you'll need to buy 4 of them to build everything possible shown on the box. I grabbed 2. Very confusing with the "or" options. The only place I have seen them 'in stock' is Amazon Canada. I can't order them myself because they can't be shipped to Europe. Yes, I have them in my possession in US (leo/donnie skate/jump training, DPF59/DPF61). I had to import them from Amazon.ca. I used a service called ReShip.com. It wasn't exactly cheap. Given all the evidence I would predict those two are never coming out in the US. They've actually been available at Amazon Canada for awhile now, off and on. 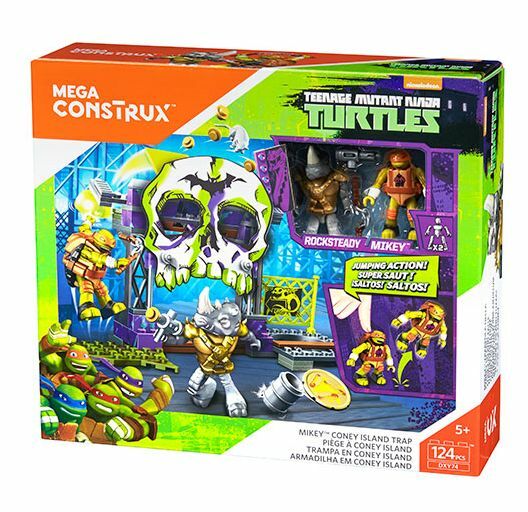 They would have to be re-branded as Mega Construx to see a release in US...their boxes are the old style. In the same boat are the Half Shell Heroes skateboard singles for Leo/Mikey (DPF55/DPF56). Also apparently only released in Canada, with old branding. Amazon.ca sellers are already scalping them. I would suggest anybody interested in any of those 4 sets do whatever you can to get your hands on them as cheaply as possible from Canada now. In case you are scratching your head as to why Canada would be so special...Canada is where Mega is based! So I can easily see them pushing a few things out there and not here now and then. By the way -- Nice checklist! It looks correct to me, and I am currently complete! I think I'm about 80% complete on the Mega Bloks sets right now, still missing a few. A lot of sets have not been released over here in Europe, the only way to get them is importing them (if available online), which can get expensive, and some sets are indeed very hard to find. They were part of the second series. The Jump Training and Skate Training sets were different. They've been listed on Mega Blok's web site for a while. But they haven't shown up in the US. Looks like several new sets are on the way, I updated the checklist. The new sets are listed in red. These two, together with the Raph and Mikey 'sports' sets are listed as DMX26. So I'm not sure what the correct numbers are. Meanwhile I have still not been able to find the Donnie Jump Training and Leo Skate Training sets on a website that will ship to Europe or eBay. Found a listing for one set I had not seen before, Shredder's Throne Battle. These are all listed in red in the first post. Did I miss something, or has anyone found any of the above sets? Last edited by SS Kakarot; 06-03-2017 at 11:28 AM. Awesome! Excellent detective work! That new checklist would appear, if I am squint-reading numbers right, to maybe reveal some of S7's planned figures? Really hope we can get all of these somehow, somewhere, soon! Like Armaggon! Man I really hope we see him in fig form! Bummer they skipped out on the Spirit Quest Mikey and opted for the one with sunglasses instead. 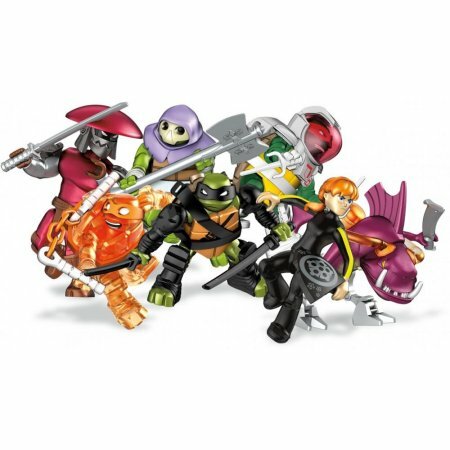 They completed the translucent set w/ the Orange Mikey and the Space arc with Leo and Raph so I wonder why they skipped completing the Spirit Quest set? I'm still excited for the blind bags though. Hopefully he's planned for the following release. If you look at the figure check list above. 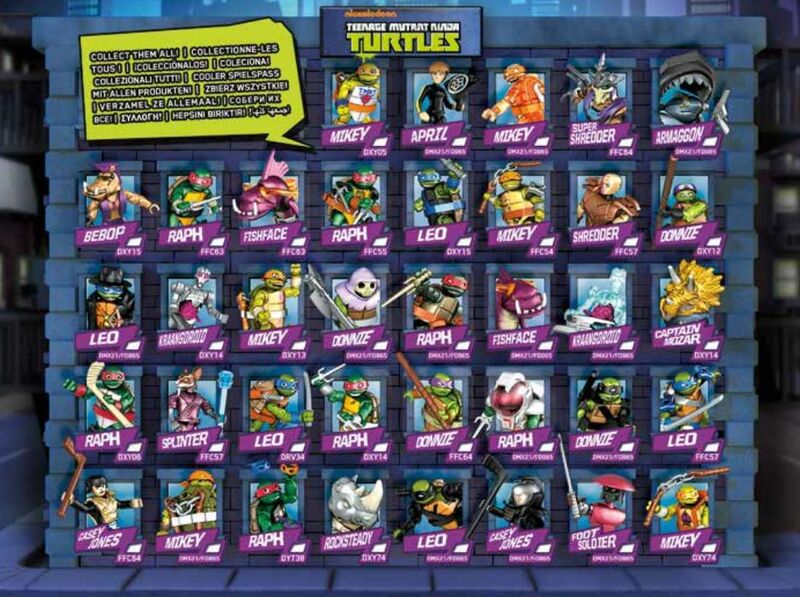 I see Spirit Quest Mikey right next to Karai at the bottom. Now he probably won't come with show accurate weapons but he will be in the future waves. Where do you see Karai? I'm guessing you must mean the Casey Jones with the brown vest on in the lower left corner? That's the only Mikey I see that MAY look like the Spirit Quest one.... He has I guess what looks kind of like face paint? *squints* Is that the one you mean? I kind of wonder if they will eventually do a Yojimbo, Mona Lisa, or an Alopex? Then again I wonder how long they will keep producing these toys with the show ending soon. I'm sure they will crank out what they can, but they will also want to have production of new toys primed and ready for the reboot in 2018 I'm sure. Hoping there will be an advent calendar. Loving the look of the Shellraiser redeco. Finally managed to get the Leo Skate and Donnie Jump Training sets trough a seller in Germany. These two were very hard to find. Here's an updated list of the sets that have not been found yet in stores or online to my knowledge. It's not sure these sets will be released at all. UPDATE: The 'Shredder's Throne Battle' set seems to be in stock at Walmart (Canada) and Toywiz (US) at the moment. So that leaves the sets in the below picture (and the Donnie Baseball and Leo Touchdown sets).